If you are like me, you have the date circled for Iron Man 3 to hit theaters. With the movie getting close, you know it is almost time for the inevitable video game tie-in. Gameloft has released the official trailer for the game showing off gameplay in anticipation of the launch next week on April 25. 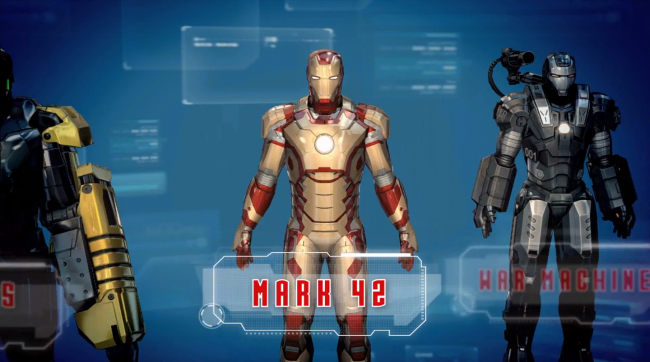 Just like in the upcoming movie, the game will have multiple Iron Man suits for you to play as. Gameloft mentions 18 different suits that you can upgrade and fly in. Please note that anytime you see “free-to-play” referenced in a game, that title will be making its money off microtransactions, so prepare for some of these suits and upgrades to only be unlocked if you pony up the cash for them. Either way, the graphics and gameplay look pretty solid, so check out the trailer to keep you busy until the game launches next week.